Fuuinjutsu techniques are the sealing techniques of the ninja. They allow the ninja to contain the elements and demons. This unnamed Fuuinjutsu technique attached the Shukaku Ichibi to Gaara's unborn body. Shukaku was attached to two Sand ninja previously by Chiyo, presumably using this same technique. To attach the demon, the technique must bring the two beings into synch, both bijuu and human. As a consequence of the attachment, Gaara's mother Karura lost her life. Akatsuki has termed the attachment of demons to an individual and the resulting loss of life a "Jinchuuriki," literally "the power of human sacrifice." Such a technique will grant the human portions of the demons power. Kazekage hoped this would create an ultimate ninja, who would have near unlimited chakra from the demon. 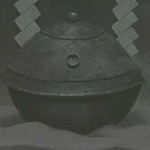 As a result of Shukaku's attachment, the demon protects Gaara with nearby sand. This unnamed Fuuinjutsu technique is created by one of the ten Chikamatsu puppets. This seal prevents the one sealed from manipulating chakra. There are two methods for this seal. In the first, the puppet will expel a hazy orb from its mouth which can be thrown. While flying through the air, the orb will lose it's haze and grow in size to a huge gaping beast-like head. The large teeth can grab ahold of the person it hits and pin them to a wall. Once the it impacts the wall, it will immediately release the seal onto the surface. In the second form, the main puppet will expel the seal from its mouth onto a surface it is touching. Fuuja Houin is a Fuuinjutsu technique used to counter-act the effects of a cursed seal. The ninja writes the needed seal characters on the ground and body of the person cursed with the seal. The ninja then forms the needed hand seals and places his hand over the cursed seal and then activates the written seal. The seal characters will then retreat to surround the cursed seal in a circular seal. Though the Fuuja Houin can work well against lesser seals, it will not be able to fully stop a cursed seal placed by a powerful, skilled ninja. Fuukoku Houin is a Fuuinjutsu technique utilized by the Sound Four. This seal is used in conjunction with the Shikokumujin. After the Sound Four seal the individual in the container, they further add this seal as another layer of protection. To create the seal, the Sound member will write the incantation in blood on the sealing paper and then attach it to the container. Finally the Sound member will form the needed hand seal and activate it. Genryuu Kyuu Fuujin is a Fuuinjutsu technique utilized by Akatsuki. To further their goals, they seek to capture all the "jinchuuriki," literally "the power of human sacrifice" a.k.a. demon possessors such as Uzumaki Naruto and Gaara. Akatsuki seeks to use the bijuu (tailed demon beasts) for their unique abilites. Once they capture one of the jinchuuriki, they will bring them to a hidden location. All nine members need not be physically present, they can use their astral projection technique to transport a spectral form of themselves into the cave. 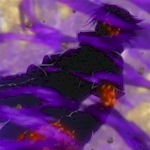 Knowing that the barrier has this weakness, Akatsuki added a further protection. When the four surrounding tags are removed, a doppelganger of the person who removed it will emerge from the ground and battle them. The doppelganger can utilize all the same moves as the original, even bloodline techniques. Hakke no Fuuin Shiki was a Fuuinjutsu technique used by the Fourth Hokage. The Hakke no Fuuin Shiki was used in conjunction with the Shiki Fuujin technique to seal the Kyuubi demon within the stomach of Naruto. The Hakke no Fuuin Shiki allows the two Shishou Fuuin to leak the Kyuubi chakra back into Naruto's own chakra. For further information on Juin Jutsu, please consult the Cursed Seal Guide. Caution! Major spoilers! This unnamed Kyuubi chakra sealing tag was given to Hatake Kakashi by the Sannin Jiraiya. When Jiraiya and Naruto left to train for two and a half years, Naruto began to further develop his ability to call on the chakra of the Kyuubi. Unfortunately the power of the Kyuubi would become too much, turning Naruto more feral and animalistic than ever before. When Naruto would lose control, the Kyuubi chakra would pour forth, and a tail would appear as the Kyuubi chakra increased. This special tag is placed on Naruto's forehead to stop this process. It will quickly begin to weaken Naruto and cut off the intense power of the Kyuubi. Shikoku Mujin is a Fuuinjutsu technique utilized by the Sound Four. This special barrier jutsu is used in conjunction with the Seishingan drug. Normally the drug causes death, but the barrier softens the effect to a temporary coma. This forceably allows the body to be able to handle a level two cursed seal. Shishou Fuuin was a Fuuinjutsu technique used by the Fourth Hokage. The Shishou Fuuin was used in conjunction with the Shiki Fuujin technique to seal the Kyuubi demon within the stomach of Naruto. The Hakke no Fuuin Shiki was used to make the two Shishou Fuuin allow the escape of the Kyuubi's chakra back into Naruto's own chakra. This allows Naruto to draw on the chakra of the Kyuubi and still keep the Kyuubi itself imprisoned. Naruto can access this chakra whenever he experiences heightened emotions or when his own chakra is drained.